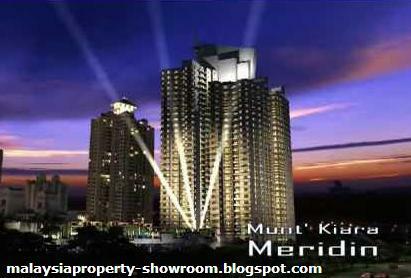 Mont Kiara Meridin, the newest and possibly, the trendiest member in the Sunrise Mont Kiara Family of condominium developments. 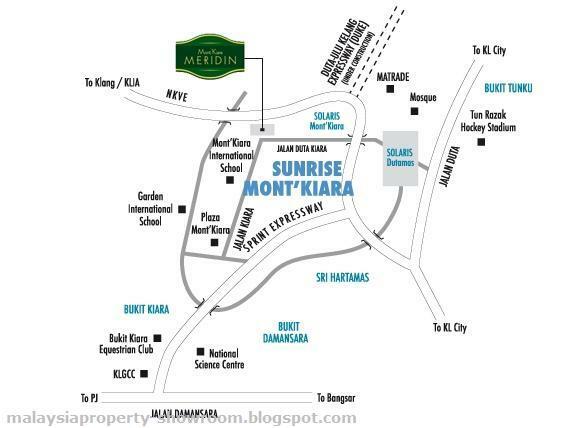 Mont'Kiara Meridin is strategically situated in a northern enclave in the premium and upmarket residential suburb of Mont Kiara. Aside from its outstanding location, Mont'Kiara Meridin also enjoys unimpeded access to the whole of Klang Valley via the NKVE and SPRINT highways, Jalan Duta and Jalan Damansara. Situated on prime, elevated freehold land, Mont Kiara Meridin offers a total of 216 units housed in an ultra modern 31-storey tower block, with three sought after unit sizes - 1,787 sq.ft., 1,973 sq.ft. and 2,513 sq.ft. and 12 exclusive Cabana suites. Mont'Kiara Meridin offers a host of outstanding facilities and amenities, among which include LCD screens in bathrooms. This makes Mont'Kiara Meridin the first among the new generation of Sunrise Berhad condominiums to offer such features. Built-up Area : 1,787 sq.ft. - 4,487 sq.ft.